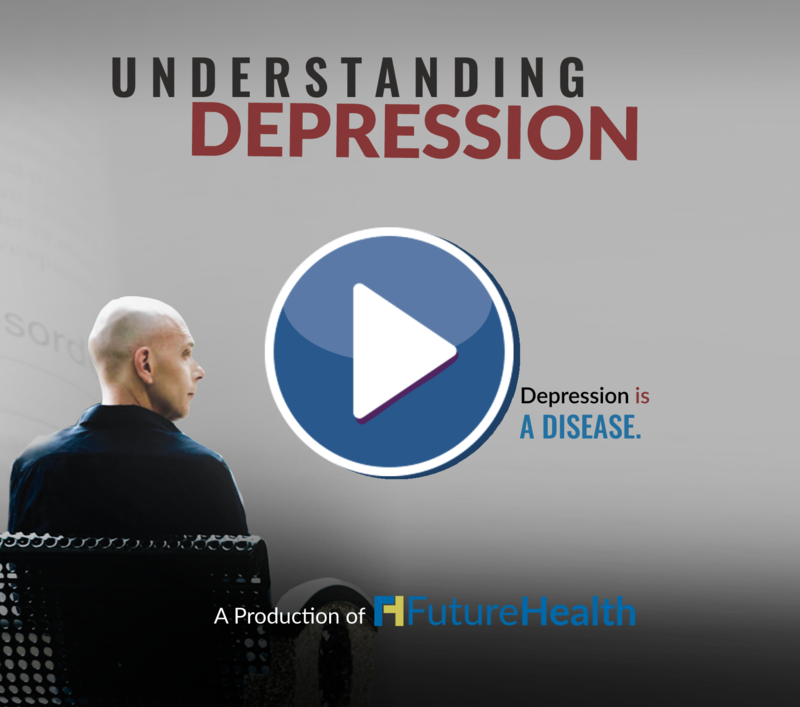 Understand depression, what its dangers are, and how it can be prevented or treated. Review the information below and read these slides. Step 3: GET A CERTIFICATE OF COMPLETION! When you feel ready click here to get your certificate. Depression is more than feeling blue. It is a common but serious mood disorder that is treatable. The term depression refers to a group of medical conditions defined by varying symptoms, duration, and severity. Depression feels different from person to person, yet the overall impact is the same. Depression negatively affects how you think, feel and handle daily activities. 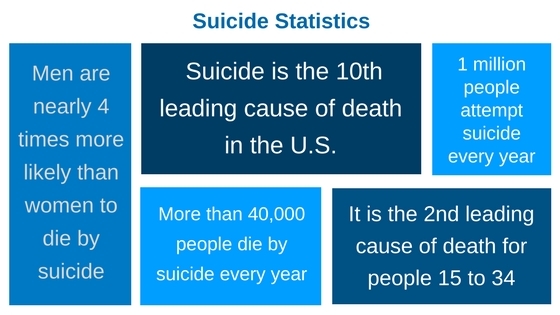 At its worst, depression can lead to suicidal thoughts and actions. In our society, depression is on the rise. Cases of U.S. adults experiencing at least one episode of depression increased from 6.6%-7.3% in the years 2005 to 2015, according to a study published in the medical journal Psychological Medicine. More alarmingly, depression among 12 to 17-year olds increased at an even higher rate - 8.7% to 12.7% - the most of any age group. Current research suggests that depression is caused by a combination of genetic (family history), biological (illnesses, medications), environmental (poverty, violence) and psychological factors (life changes, trauma, stress). It can occur at any age, but often begins in adulthood. In children and adolescents, depression often presents itself as anger and irritability. Researcher are now understanding that many chronic mood and anxiety disorders in adults begin as high levels of anxiety in children. It is also noted that poor lifestyle habits can actually contribute, and worsen, a depressive episode. Major Depressive Disorder (or clinical depression) is a depressed mood that affects how you feel, think and behave and can lead to a variety of emotional and physical problem. Symptoms are present for at least two weeks. Persistent Depressive Disorder is a depressed mood that lasts for at least two years. Episodes of major depression along with periods of less severe symptoms may be present. Prenatal Depression is a major depression experienced during pregnancy or after delivery (postpartum depression). Symptoms are so severe it may be difficult for the new mother to care for herself and/or baby. Prenatal depression is more serious than the "baby blues" which has milder depressive and anxiety symptoms and often clears within two weeks after delivery. Psychotic Depression occurs when a person has severe depression plus some form of psychosis, such as delusions or hallucinations. 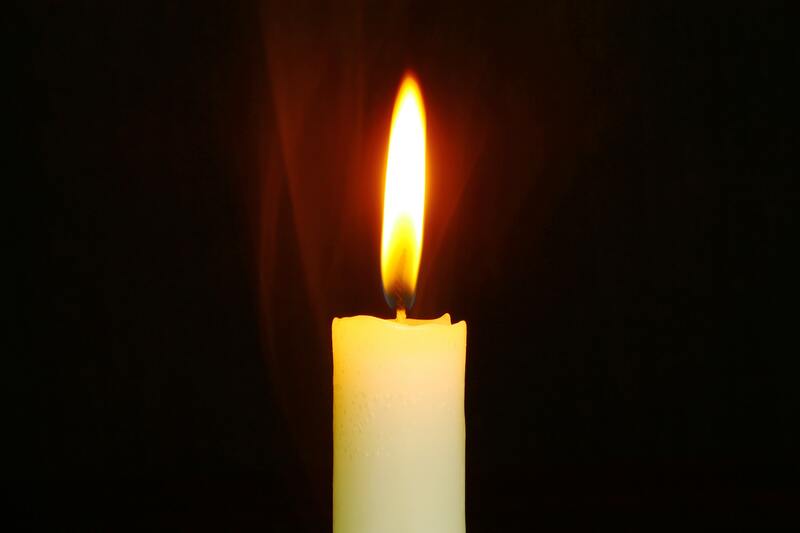 Seasonal Affective Disorder (SAD) is depression during the winter months, when there is less natural sunlight. It generally lifts during spring and summer. It is typically accompanied by social withdrawal, increased sleep, and weight gain. Bipolar disorder is different from depression, but it is included because someone with bipolar disorder experiences episodes of extremely low moods that meet the criteria for major depression (called "bipolar depression"). To learn more about bipolar disorder click here. Talk to your doctor and be an advocate for your health if you feel you may be experiencing depression. It's important to note that women are nearly twice as likely as men to be diagnosed with depression. 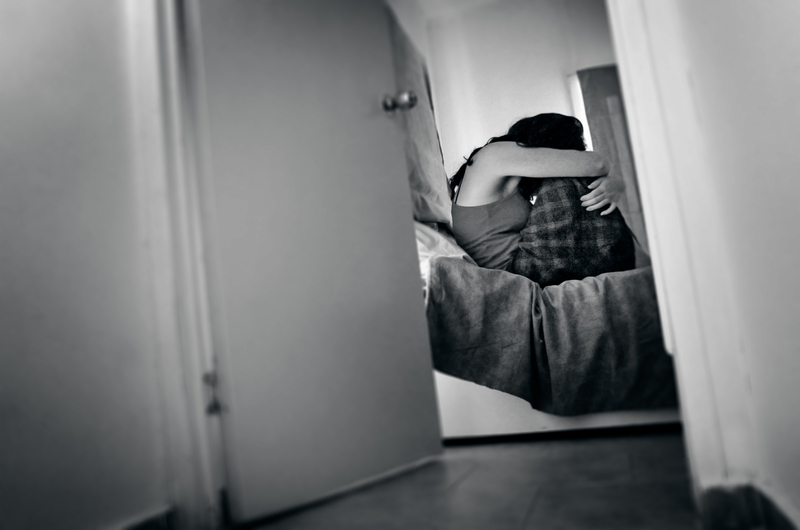 Some studies show that one-third of women will experience a major depressive episode in their lifetime. To learn more about women and depression click here. Depression is one of the most common mental disorders in the U.S., yet all too often it goes unrecognized. Untreated depression is very dangerous to mental and physical health. It can cause weight gain, insomnia, fatigue, substance abuse, academic problems, family or other relationship issues, unhealthy diet, aches and pains, and even suicide. Untreated depression in children and teens may contribute to poor performance or misbehavior in school, anxiety, anger issues, risky behaviors, chronic stomachaches or other health issues, eating disorders, substance abuse and even suicide. Heart disease: Studies show that depression can lead to heart disease, make heart disease worse, and make it more difficult to recover from complications of heart disease. The stress of depression contributes to clots in the arteries, leading to heart attack or stroke. Diabetes: High levels of cortisol from depression raises blood sugar levels, which may cause diabetes in individuals older than 65. If you have diabetes or prediabetes, depression can prevent you from managing your diabetes. Statistics show that about 20% of people with diabetes also have depression. Cancer: Individuals with depression often have high levels of cytokines, chemicals of the immune system that may diminish the body's ability to destroy cancer cells. Osteoporosis: Increased cortisol from depression may amplify bone loss and increase risk of bone fractures, especially in women. Obesity: Risk for obesity increases by 58% if you are depressed. In part because eating is a way to self-medicate when feeling depressed. Depression may also cause you to secrete stress hormones that promote belly fat. If you're obese, you have a higher risk of being depressed. If you or a loved one is at risk call 800-SUICIDE (800-784-2433) or 800-273-TALK (800-273-8255) or the deaf hotline at 800-799-4889. 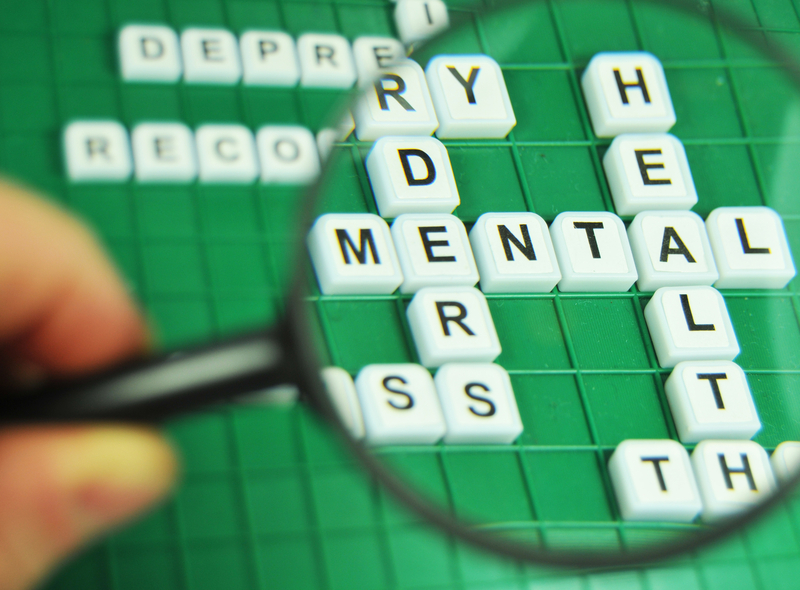 The social stigma associated with mental health is a critical barrier to treatment. Although awareness is improving about mood disorders such as depression, stigma is still present and harmful. It makes those experiencing symptoms less likely to start treatment. Some steps you can take to help end the stigma around depression include educating yourself on the broad spectrum of mental illnesses, talking openly about it and avoiding stigmatizing language such as "weirdo", "psycho" or "nutcase". Depression is an illness not a choice. Depression and sadness are the same. Sadness is temporary. It comes and goes with life experiences. Depression is a chronic condition that does not go away on its own. It's not really an illness. 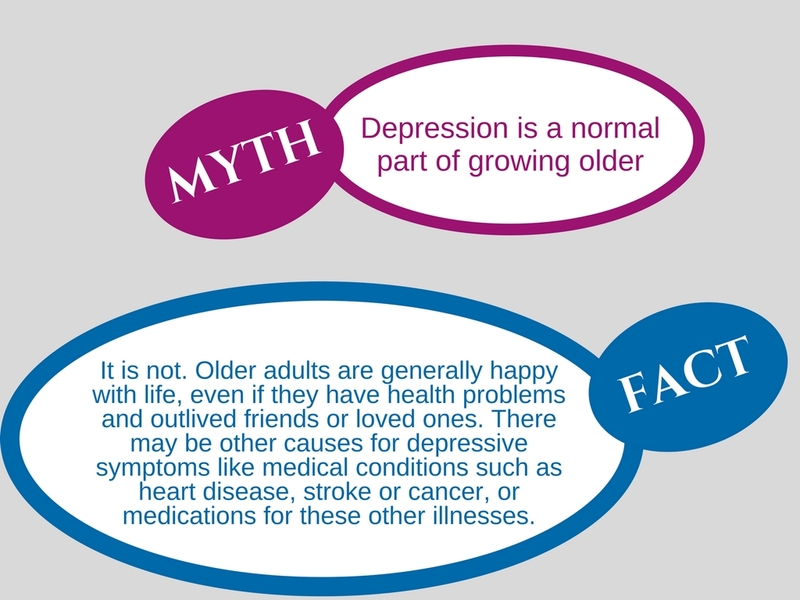 Depression is a serious medical condition even though there is not a "one size fits all" diagnosis. Research shows that a depressed person has physical differences in their brain, and neurotransmitter and hormone imbalances, which determine their condition and its severity. It's just in the head. According to the National Institute of Mental Health, depression can manifest as fatigue, insomnia, unusual changes in appetite, chronic muscle aches and chest pain. Physical symptoms go hand and hand with depression. Men don't get depressed. Although women are two times more likely to develop depression, men do experience it. They often express it differently, avoid treatment more often and have a tendency to self medicate which can lead to substance abuse. Depression is hereditary. There is a genetic predisposition to depression that can slightly increase a person's likelihood of developing it. But anyone can develop depression. If any symptoms are visible seek treatment immediately. An antidepressant is all you need to feel better. Treatment for depression is much more than just medication. The most successful treatments include therapy, physical activity and healthy lifestyle choices. Some treatment protocols don't include antidepressants at all. You'll need medication for the rest of your life. Depression treatment is as varied as the disease. If medication is needed it can be used on a short term basis, as a constant course during a lifetime and sometimes not at all. Working with a doctor is essential to recovery. Talking about it makes it worse. Since depression has been a taboo topic in our society for so long it may feel awkward to talk about it. Thankfully a slow enlightenment of society is bringing depression out of the shadows and breaking the stigma associated with it. Opening communication in a supportive manner can be the difference in someone seeking treatment sooner rather than later. Depression is an illness that can be successfully treated. There are many treatment options widely available. Please read on to the treatment section to learn more. Treatment for depression is very effective and as many as 80 percent of those who suffer from depression will respond to treatment within 4-6 weeks. No treatment is instant and individuals seeking treatment need patience. As many as 50 percent of those who do not respond right away decide to stop getting treatment but it's important not to give up because the right solution is out there. Often times, it will require trying several medications, sometimes for several weeks each, before the right match is found. If you suspect you have symptoms of depression, first start with your primary care physician. A doctor can rule out possible causes from other illnesses or medications. 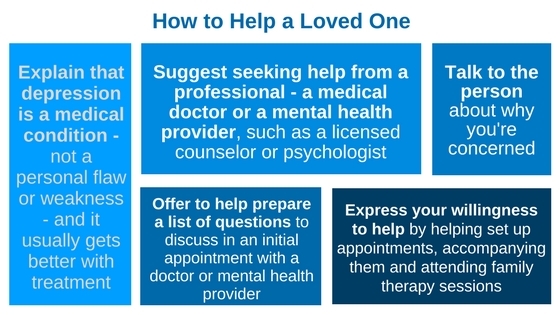 You may be referred to a psychiatrist or other mental health caregiver that can help with depression which include psychologists, social workers and therapists. Exercise of any kind helps depression. Just a 20-minute walk can have a major impact. Not only does exercise boost serotonin, endorphins, and other feel-good brain chemicals, it triggers the growth of new brain cells and connections, just like antidepressants do. Choose whatever activities you enjoy, where and when, and get engaged. Keep your body in motion for 10-30 minutes and build up to 60 minutes a day. Click here for more information on beginning a workout routine. If you combine social support with exercise, studies show that this is even more effective. So walk with a friend, or join an exercise group. Make it part of your routine. The Anxiety and Depression Association of America (adaa.org) states that "According to some studies, regular exercise works as well as medication for some people to reduce symptoms of anxiety and depression, and the effects can be long lasting. One vigorous exercise session can help alleviate symptoms for hours, and a regular schedule may significantly reduce them over time." Medication can be useful in treating depression as well. Dozens of antidepressants are available and are prescribed alone or in combination with therapy or other positive lifestyle changes. Some of their names may be familiar from heavy television advertisements. All of them carry warnings about the increased risk of suicidal thinking in children, teens, and adults 18-24. Because of these and other side effects, people are encouraged to work closely with a doctor at all times. Since information about medications and side effects is always being updated, check the Food and Drug Administration (FDA) website (www.fda.gov) for the latest on warnings, patient medication guides, or newly approved medications. These medications improve symptoms of depression by affecting the brain chemicals associated with emotion, such as serotonin, norepinephrine and dopamine. According to adaa.org, more than one in 10 Americans take antidepressants, the number one type of medication used by people ages 18 to 44. Antidepressants may take 2-4 weeks to start working and up to 12 weeks to reach full effect. Most people will need to experiment with different doses or medications to find the most effective one for them. Other medications may be used if an SSRI or SNRI does not provide adequate improvement. 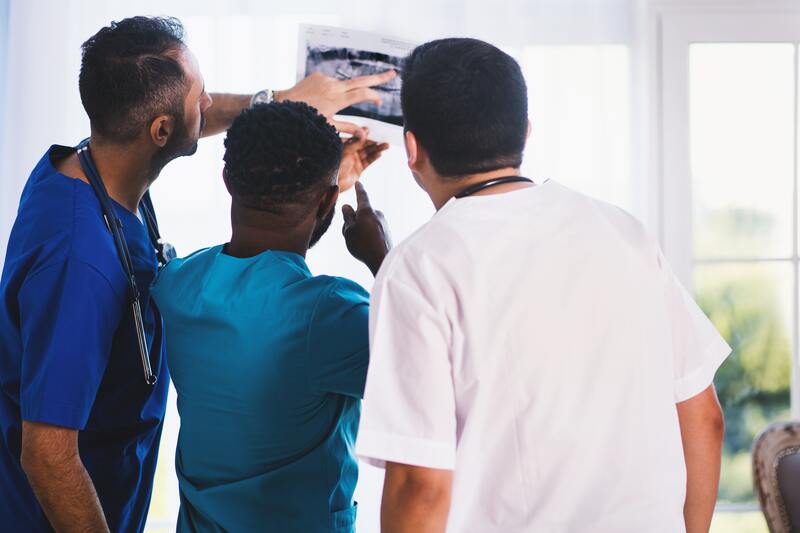 For patients who do not respond to treatment, doctors sometimes recommend electroconvulsive therapy (ECT), also known as electroshock therapy, transcranial magnetic stimulation (TMS), or vagus nerve stimulation (VNS). Cognitive-behavioral therapy (CBT) which is a therapy practice that focuses on replacing the negative thoughts associated with depression with more useful ones and to teach coping strategies. Interpersonal therapy (IPT) looks at improving problems in personal relationships that may be contributing to a depressive disorder. Psychodynamic therapy, also called psychotherapy or talk therapy, focuses on recognizing and understanding negative behavior patterns and feelings that originated from past experiences and works to resolve them. If you are interested in locating a therapist use the FutureHealth Find a therapist tool to select the best fit for you. If you're experiencing depression, or know someone who is, you do not need to go it alone. There is an immense amount of support available - from online resources to caring therapists and online support groups that understand your challenges. Below is a brief list of organizations and websites that can help you start your journey to a better tomorrow. No matter what problems you are dealing with, the National Suicide Prevention Lifeline wants to help you find a reason to keep living. By calling 1-800-273-TALK (8255) you'll be connected to a skilled, trained counselor at a crisis center in your area, anytime 24/7. Different from a crisis line that is answered by a clinician and focuses on whether or not you may qualify for hospitalization or respite, a peer support line is answered by a trained peer worker who has their own lived experience (with a psychiatric diagnosis, trauma, extreme or altered states, etc.) and who is there to talk and offer support. ADAA's anonymous peer-to-peer online anxiety and depression support group is a friendly, safe and supportive place for individuals and their families to share information and experiences. As a member you can connect with other people experiencing anxiety and depression and related disorders, contribute to ongoing conversations or start your own conversation with a question or a post about your journey. The APA is the leading scientific and professional organization representing psychology in the United States. Their mission is to advance the creation, communication and application of psychological knowledge to benefit society and improve people's lives. 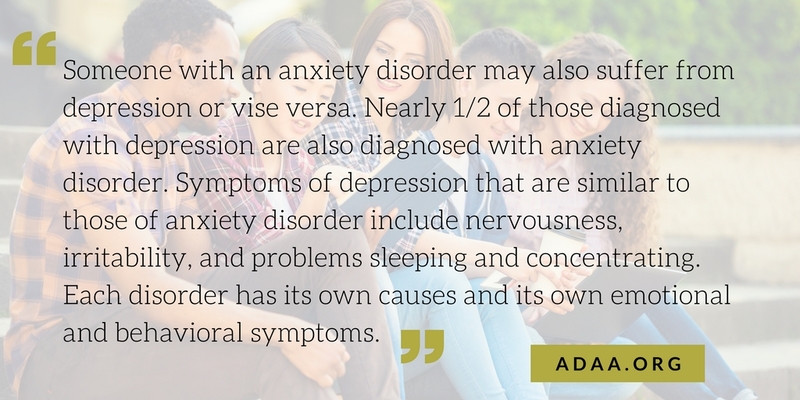 ADAA's mission is to promote the prevention, treatment, and cure of anxiety and mood disorders, OCD, and PTSD through education, practice, and research. Depression and Bipolar Support Alliance is a self-help organization for patients and their family members. The DBSA web site provides timely information on depression, anxiety, and bipolar disorder and explains how doctors screen for these conditions. This website also provides information for the newly diagnosed as well as information about recovery steps and ways to help a loved one with depression or with bipolar disorder. DBSA offers tips and support for helping someone with mood disorders. NIMH is the lead federal agency for research on mental disorders and is part of the U.S. Department of Health and Human Services (HHS). This website offers a wealth of information on the latest research, statistics and understanding of mental health issues. The Western Mass Recovery Learning Community (RLC) offers learning opportunities, advocacy, peer-to-peer support and the development of regional and national networks to support healing and growth for individuals, and the community as a whole. RLC believes that human relationships are often at the center of what heal people who have experienced extreme emotional distress, trauma, psychiatric diagnoses, addiction and a variety of other life challenges. The Sisters of Providence Health System is a faith-based, non-profit organization serving all patients regardless of background or ability to pay. They are known for a tradition of a high-touch, holistic approach to health care combined with state-of-the-art medical technology. Our FutureHealth website is full of helpful, inspirational healthy living tips. Please visit our Exercise, Nutrition, and Mindfulness pages for tips and information.